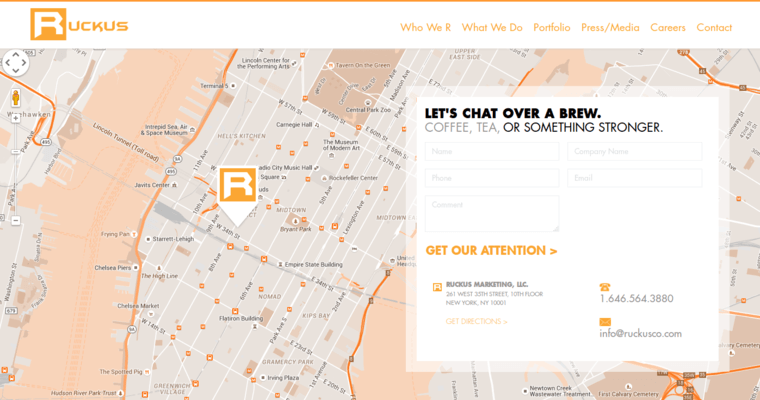 Ruckus Marketing is a web design firm that is based in New York, NY. 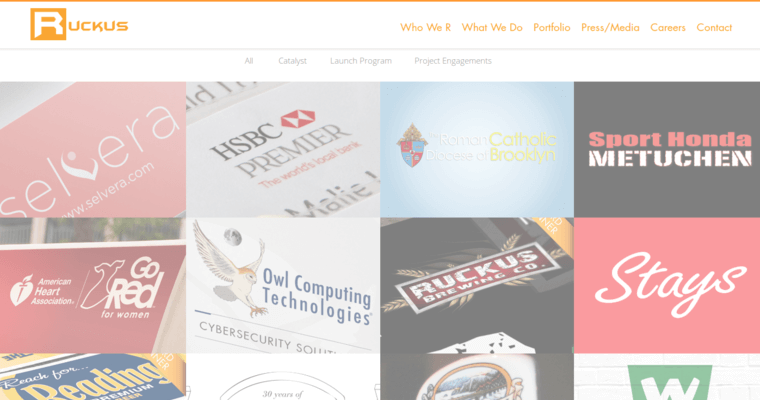 This company gains success for clients by ensuring that they are smarter than other competing companies. This company realizes that being louder than other companies does not necessarily mean being more successful than other companies. 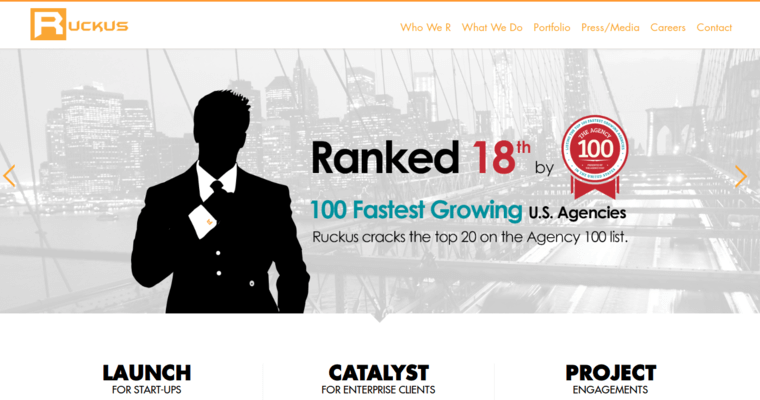 By helping you find a strategy to work smarter, Ruckus Marketing is able to help you have the success you would like to achieve. This is called expertly crafted disruption. If an idea is not producing enough engagement with an audience, it may only be adding white noise to the background. Aside from this, if the idea is not expertly crafted to be innovative, the message is ultimately falling on deaf ears. By using an approach to make sure this does not happen, Ruckus Marketing is able to provide growth and success for clients that will help them in the long run.